Print on linoleum, wood, soft block surfaces, polyprint plates, and Styrofoam with Blick Water-Soluble Block Printing Inks. The inks are watersoluble, so they're formulated to be dissolvable if they encounter water. 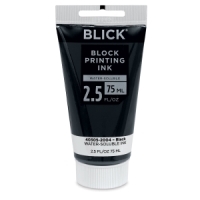 After printing, inks will move, bleed, or rinse off if they come into contact with water. 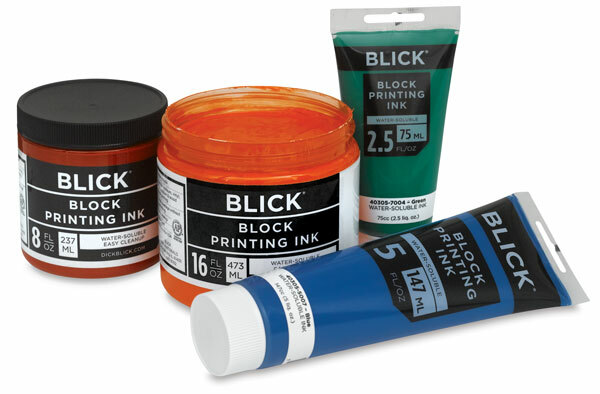 The pigments are ground and milled to the perfect consistency to produce optimum results in block printing — good coverage without over-inking. Blick Water-Soluble Block Printing Inks clean up easily with water. They're non-toxic, and conform to ASTM D 4236.